This table was originally made to accomodate the needs of a venue were a dining type table and a low coffee table type was needed at different occassions. So by pessing a lever this table will rise and fall. 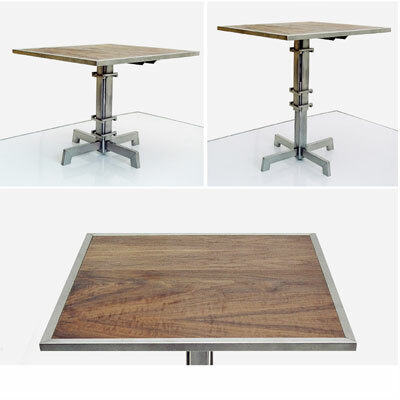 The frame is made of stainless steel with a walnut wood insert.